Smaller and slightly sweeter than its cousin, the lima bean, tiny butter beans are a Southern favorite. 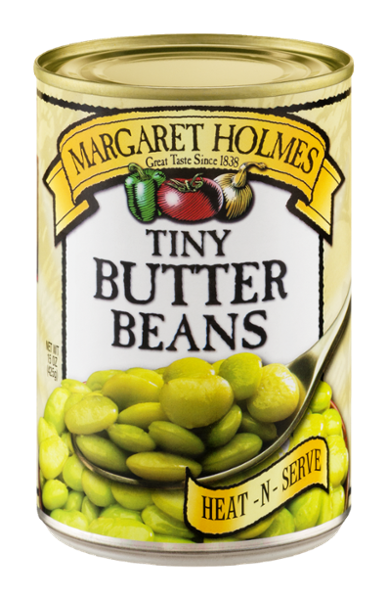 Margaret Holmes Tiny Butter Beans are picked at the peak of freshness. Our butter beans are supercharged with nutrients, are high in fiber and taste great.